A FULL ZENITH CAST, 4 SHOWS, 1 BUS AND THE LARGEST ARTS FESTIVAL IN THE WORLD. The project involved bringing Zenith members to Edinburgh Fringe Festival for one week presenting four shows a day for one week.These performance were performed on the Theatre Bus (Venue 323) on The Meadows In the heart of Edinburgh. 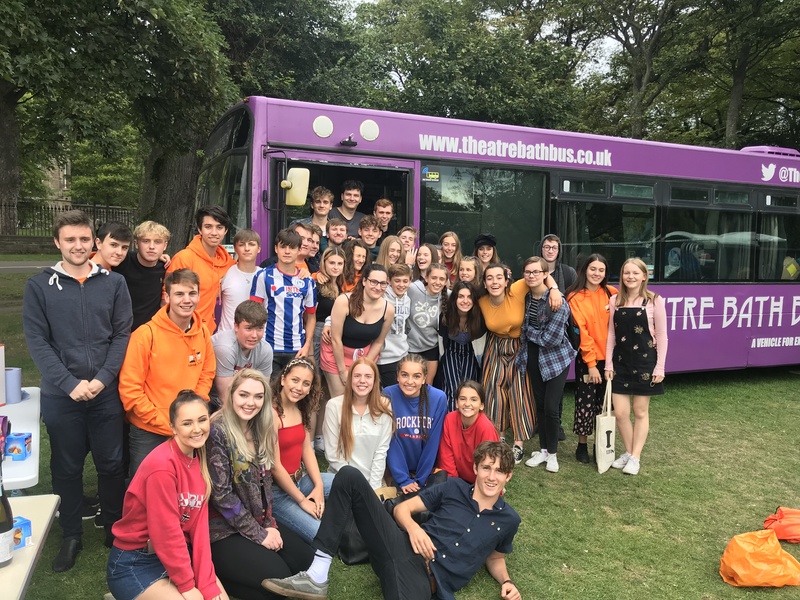 With the creation of the theatre bus by Theatre Bath it became possible to bring Zenith Youth Theatre to the largest theatre festival in the world in an affordable venue. Allowed a group of young people to experience and explore the largest arts festival in the world. Whilst performing to be in a professional environment they worked alongside professional companies from around the world. 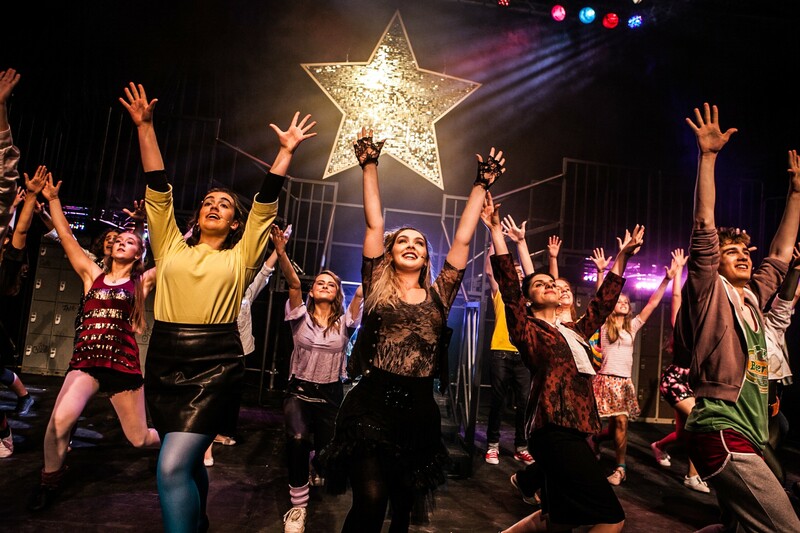 Enhanced the profile and reputation of Zenith Youth Theatre Company on the national and international stage. Created an even stronger bond between the company members with them making friends for life. Provided a relatively inexpensive opportunity for young people to engage with the festival. Expanded and widened the horizons and ambitions of Zenith and getting us used to working outside of our comfort zone. We are very grateful to all our sponsors, volunteers parents and cast who worked so hard to make this project happen. The overall cost of this project in Zenith’s book of ambitions was £38,000 and £17000 of this was met by our fundraising efforts. With the major cuts in arts funding and arts provision in schools it is imperative that young people are inspired and energised to explore the idea of making their own theatre without public subsidy and then presenting it to a public audience. Without this inspiration we run the risk of losing a generation of theatre makers.